Second generation winemaker Andrew Januik offers his 2015 Stone Cairn and a pre-release of the 2015 Lady Hawk in a distinctive wooden box. 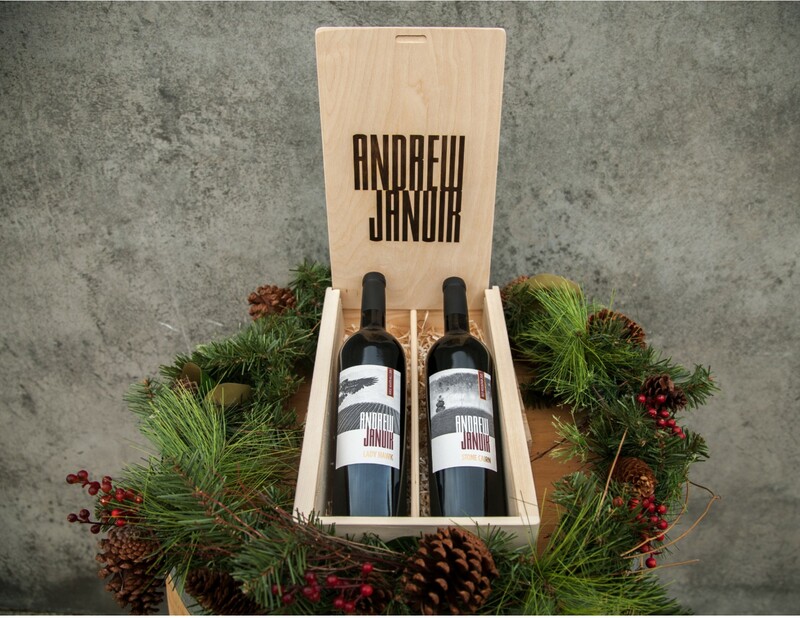 Acclaimed second generation winemaker Andrew Januik makes only two limited release Cabernet Sauvignons under his own label and this two bottle collection includes both of these sought-after wines: the 2015 Andrew Januik Stone Cairn and a pre-release of the 2015 Andrew Januik Lady Hawk (750 mL each). From Red Mountain and Horse Heaven Hills AVAs respectively, the set is an interesting study in the unique terroir of two of Washington's most acclaimed Cabernet Sauvignon growing regions. Hand-packed and nestled in a branded wooden box, this elegant two-pack represents the next wave in Washington winemaking. Only 25 sets available.